Yesterday saw me taking a few hours out from the regular business of commercial photography. 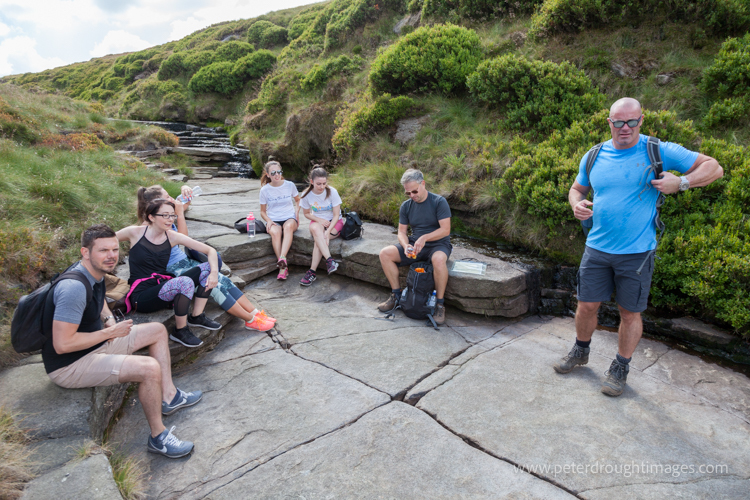 My excuse this time was a networking event organised by the Manchester based @Freshwalks. 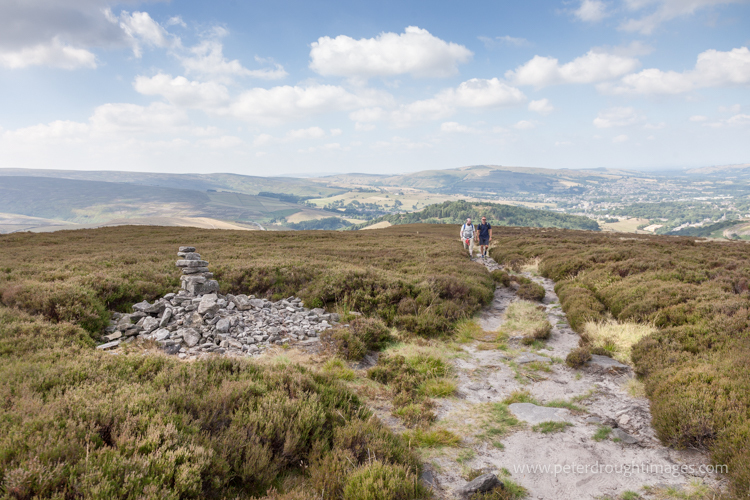 These events are a little different in that they take the form of an organised walk out in the country where you get the chance not only to meet new people, but also to engage in a spot of hill walking, taking in the great outdoors. Our target for the day was the hill of Bleaklow, which is situated near Glossop on the edge of the Pennines. Bleaklow itself consists mainly of gritstone and peat moorland, and rises to some 633 meters. Weather conditions were warm and dry, as currently the UK is going through a heatwave. The normally fairly wet peat moorland had changed into that springy consistency that it acquires when dry. We made a short but relatively stiff initial ascent before levelling off once we had gained some height. Our route took us past a local landmark known as the “kissing stones” before passing the remains of a B29 bomber that was unfortunate enough to crash there in poor weather in 1948. The day was a good one, and provided ample opportunity for some landscape photography. Having achieved the summit and crossed the moorland, we descended back into Glossop in time to watch England beat Sweden in the 2018 World Cup Quarter Finals! Here are a few photographs from the day. Hope you enjoy! A small group of people walk across a moorland track on Bleaklow in the Pennines. Walkers descending Bleaklow near Glossop. 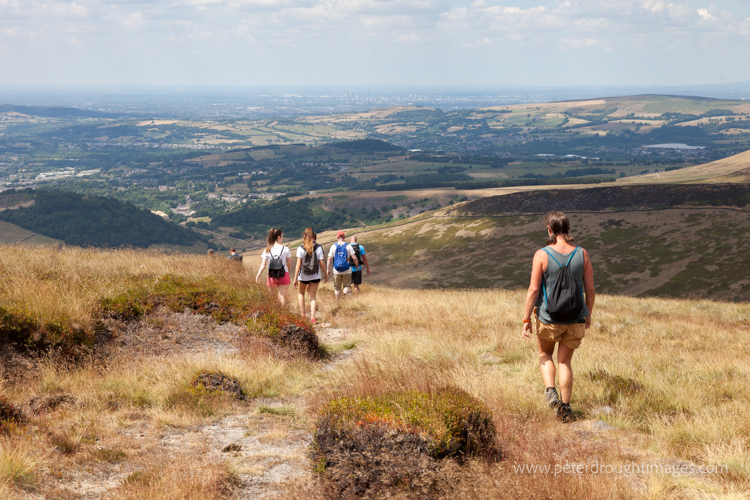 Walkers descending Bleaklow in the Pennines on a warm summer day. 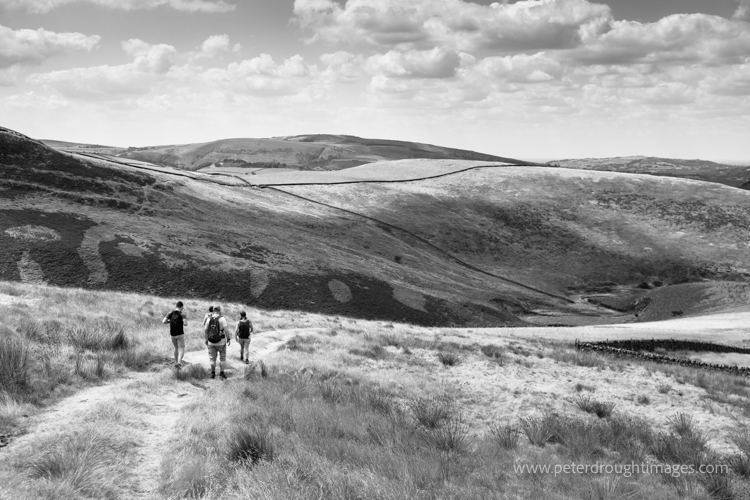 Four figures walking a path near Glossop in the Pennines. Bleaklow. Walking party on Bleaklow in the Pennines. Dry peat moorland on Bleaklow. 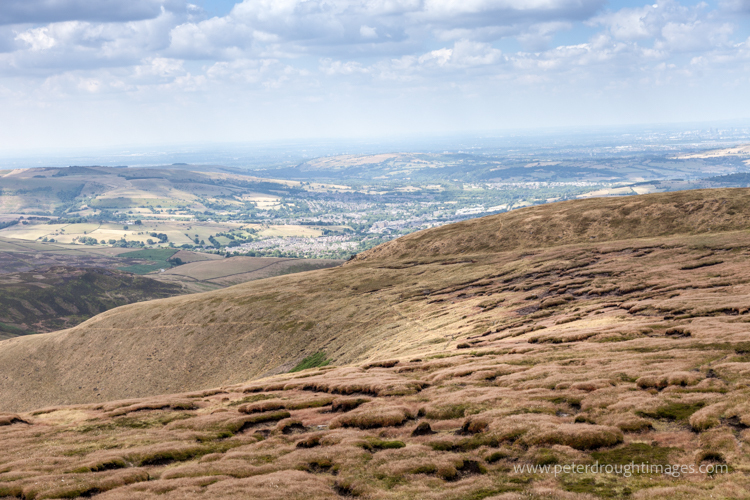 Warm summer weather with Glossop in the background. Picture of peat moorland in summer, under rolling clouds and chiaroscuro light. 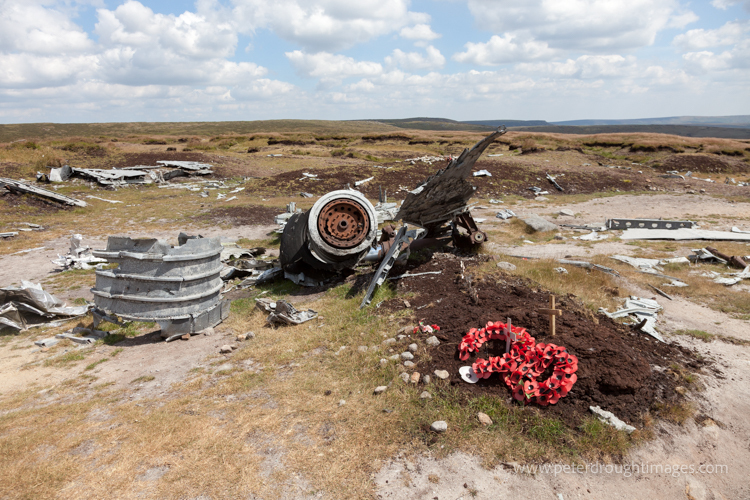 Wreckage of a B29 super fortress that crashed in fog on Bleaklow in 1948. 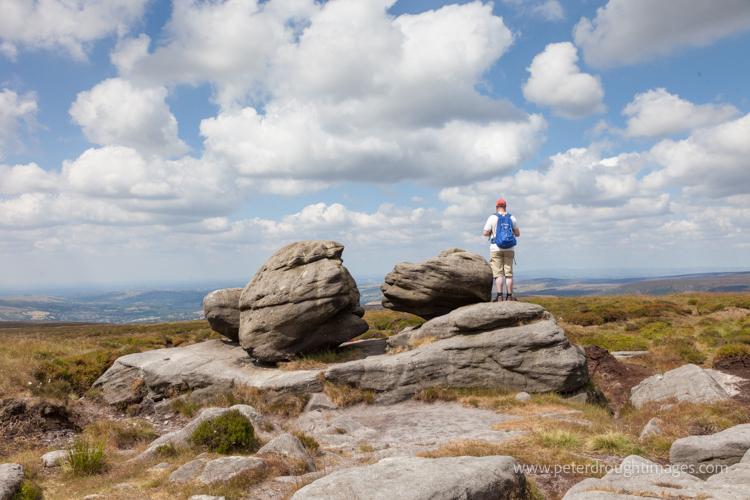 A man stands next to the kissing stones on Bleaklow, taking in the view. 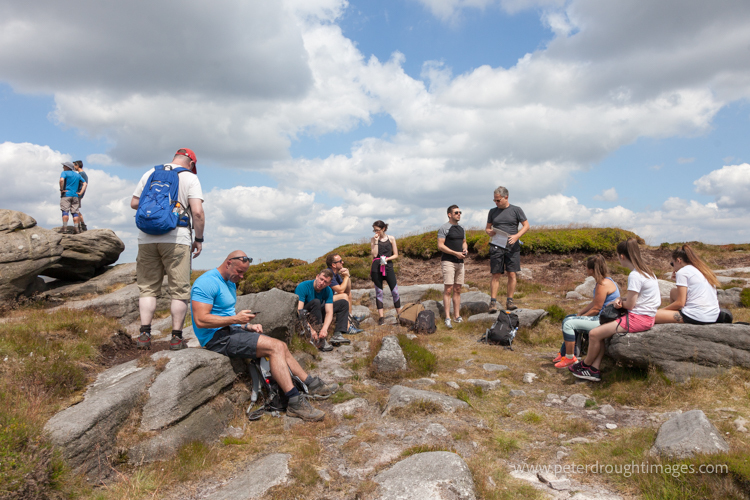 A group of walkers take a break near the kissing stones on Bleaklow. 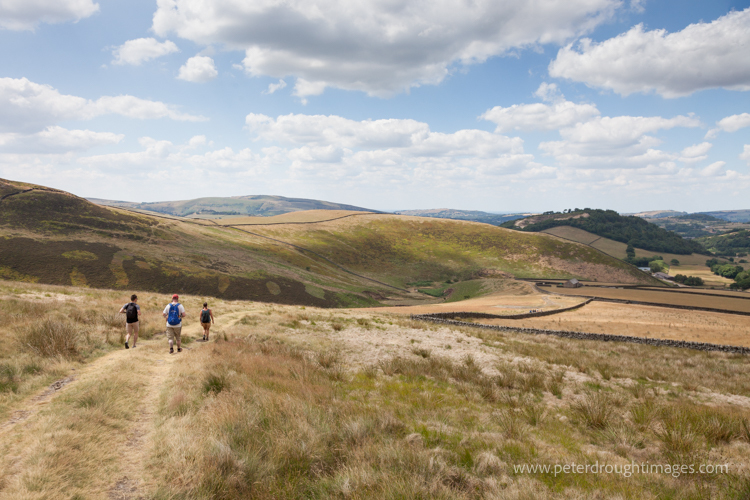 A group of walkers stop for a short break in a dried up pennine stream. Bleaklow near Glossop. 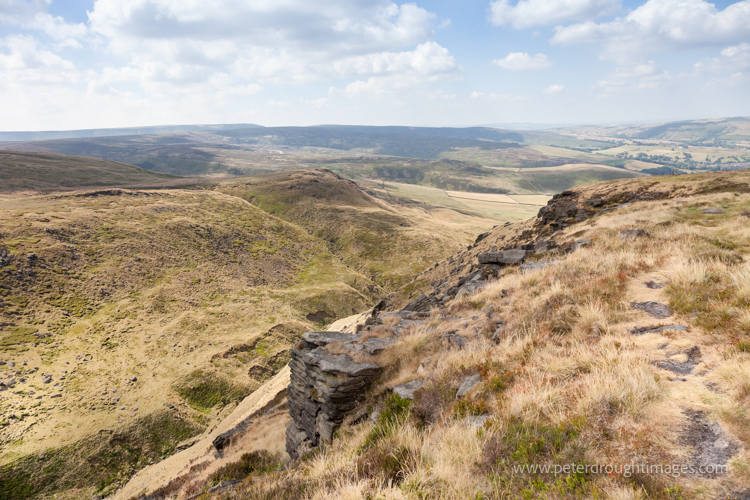 View looking down over cliffs from Bleaklow.